Moisturises for up to 24 hours. Normal to dry skin. 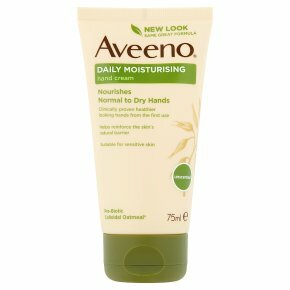 Forms a protective glove that lasts through hand washing.AVEENO® Daily Moisturising Hand Cream is formulated with naturally active colloidal oatmeal, this popular hand cream moisturises for up to 24 hours, forming a ?protective glove? that lasts through hand washing.